No risk auction items may feel a little intimidating or risky. Finding the right partner and using the items to help market the auction can help reach fundraising goals. The right partner will never pressure, will listen FIRST to your needs then offer suggestions SECOND. Engage with a professional where helping fundraisers is the priority of the business, not an offshoot of a current business trying to find another marketing angle. No risk items should always include a letter of authenticity and matching, tamper-proof holograms are affixed to each letter of authenticity and directly to each item. After choosing really cool items use photos and descriptions to attract potential bidders. Promote these items with save the date notices and in pre-sales communications. Items that include a photograph of the celebrity signing the item captivates interest and broaden the bidder base. Remember: the more bidders, the higher the bids, the more funds raised. One of the biggest challenges of planning a fundraising event is securing auction items that your guests will be excited about. Many charities include no risk auction items such as sports memorabilia, celebrity memorabilia, and vacation packages in their auctions so that they can have unique items that will enhance their auctions without having to pay any upfront cost for the items. The consignment process varies depending on the company that you work with. If you decide to feature no risk items in your auction it is important to understand each step of the process including when you will receive the items, when you will need to provide payment for items that are sold, and how any unsold items will be returned after your event. What Kind of Results Can I Expect from No Risk Auction Items? At many events in northern California, a Joe Montana hand signed San Francisco 49er’s jersey is likely to generate a significant amount of donations. If you are planning a similar event in the Seattle, Washington area the Montana jersey will do well for you but not nearly as well as an item that is hand signed by Seahawks quarterback Russell Wilson. The geographic location of your event is not the only factor that should be considered when selecting no risk auction items. Another important factor is the starting bid price of the items. For most events, we recommend that you feature items with a wide range of starting bid prices so that all your guests can have fun by participating in the auction and helping to raise money for your cause. However, some organizations will be more successful with only lower priced or only higher priced items. Are You Considering Including No Risk Items in Your Auction? If you think that no risk items including memorabilia or vacation packages might make great additions to your auction please check out these strategies for selecting the best provider to partner with. Conduct research online about no risk auction companies and ask them to provide you with references. If you are going to feature sports or celebrity memorabilia ask the company to describe the certificate of authenticity that will come with each item. Every company provides some type of certificate but certificates from well-known companies that have done signings with the athletes and celebrities and certificates from respected authentication companies like PSA/DNA and Beckett are far superior to generic certificates of authenticity. Be sure to choose a company that can customize the selection of items so that it is a perfect fit for your event. Special thanks to Justin Dennis for providing content on understanding no risk and consignment auction items. 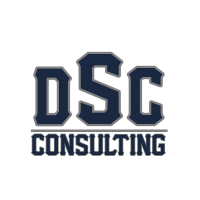 Justin is the President and co-founder of DSC Consulting. Since 1993, DSC Consulting has generated excellent results for thousands of nonprofit organizations by providing them with no risk auction items including hand signed, authenticated sports and celebrity memorabilia. email | densports77@gmail.com or visit | noriskcharityauctions.com.